Although Australia has only a short history of cultivating truffles, its aromatic fungus can now be found in fine-dining restaurants all over the world. Truffle growing, once the domain of countries such as France, Italy and Spain, has taken root in Australia in the last two decades. 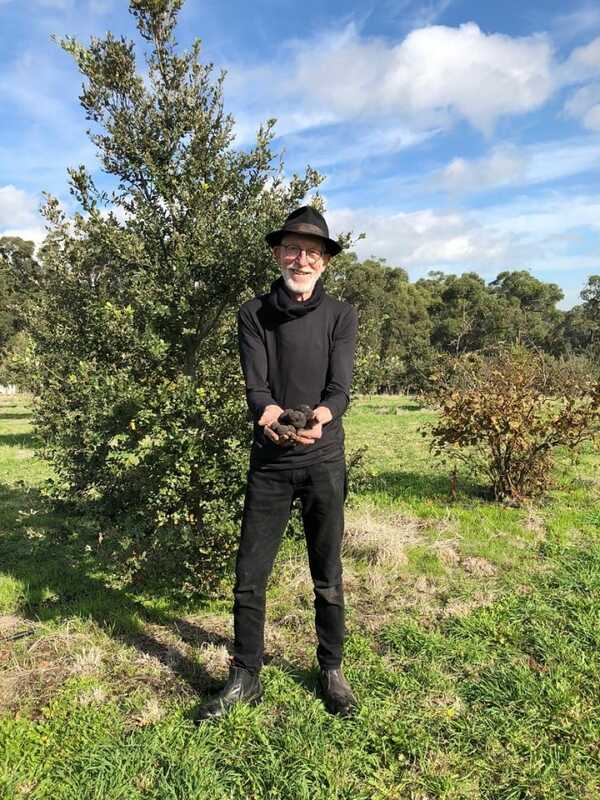 Taking advantage of the low season in Europe, when it is high season in the Southern Hemisphere, Australian growers have expanded rapidly since the first piece of truffle was harvested in Tasmania 20 years ago. According to truffle farmer Nigel Wood, there are now more than 160 production units across the country. The west, with larger farms, boasts the biggest output of the aromatic fungus. However, it is the ones surrounding Melbourne that have garnered more attention, being adopted by many famous upscale restaurants in the city. The origins of Australian truffle are from Italy and France. There are two reasons behind the rising popularity of Australian truffle, the first being its natural environment and climate, and the second is its agricultural technique and promotion. Perigord, considered the finest grade, is the variety grown primarily in Australia, while bianchetto (tuber borchii) has yet to make it into the mainstream. Red Hill Truffle near Melbourne began cultivation in 2005. Owner Jenny McAuley explained that the area gets especially cold during winter, and such climate allows the fungus to thrive there. “Australia’s natural environment is fantastic. To grow truffle, the best condition is having the first three months very hot and the following period freezing. If the land is frosted over, it’s even better. Despite the natural advantage, Australian farmers still needed experience and technique to improve the quality of their product. “The soil in Australia tends to be acidic at pH 5. To grow truffle, lime is added to adjust the acidity level to between pH 7.9 and 8.4,” McAuley continued. Even the water to irrigate the land has to be drinkable by human to ensure it’s within the accepted range of acidity. “The biggest challenge for Australia is to imitate the conditions of Europe. For example, our summer is less rainy, so it’s necessary to water the land,” Wood added. As Australia becomes more and more proficient in cultivation, the output of Australian truffle is climbing. In 2020, it is projected that there will be 20,000kg of truffle produced in Australia, 80% of which will be exported to fill the gap of the European low season. And the quality of the Australian product is such that it now makes frequent appearances in the best restaurants around the world. Making the most of what Mother Nature offers, various organisations in Australia put in the effort to push the industry forward. Wood (pictured) is the director of the Melbourne Truffle Food Festival. Since 2014, the festival has been inviting farmers, restaurants and shops to participate in the three-month-long event. The fungus is promoted through 50 harvest tours and special menus. use a lot of it, which means you can enjoy it without spending a fortune,” said Wood. He added with a smile that Australia has also come up with a truffle-flavoured beer, besides the usual truffle paste, oil and salt. His own farm Truffle Paddock is one of the locations that sell a variety of truffle products. The truffle tours organised by Red Hill Truffle usually consist of less than 14 people. Red Hill Truffle also sets up truffle harvest tour frequently during winter (operated by travel agency MP Experience). Australian truffle tours give people a more natural impression than their European counterparts. In Europe, the truffles are usually buried by the organisers, as the majority of the European truffle hunters don’t own the land, and are required to apply for a license from the government and the landlord before they proceed. On the contrary, the tour guides in Australia are the farmers and landlords. McAuley admitted the risk of running a truffle plantation is high, since not every tree or farm produces truffle. Yet her love for the gourmet fungus deepens as time goes by. That’s why she decided to make it her career. The black circle surrounding the host tree indicates truffle is growing underneath. It’s known to the farmers as brulé. “So that’s how truffle trees look,” yell two children who were part of my tour. It’s a common misconception that truffles grow on trees. This expensive ingredient is, in fact, a fungus that grows in the soil under the tree. It holds on to the roots of its host tree using very fine hyphae. In Australia, the most common host trees are hazel, British oak and holly oak. Truffle finds its way to dishes with scallop, artichokes and even desserts at Max’s Restaurant. A lap around the grounds of Red Earth Truffle is practically a lesson about the fungus. Most of us couldn’t wait to get their hand on the truffles and have a mouthful of it. What should we pay attention to while selecting? “There are 78 aromas associated with truffle and everyone smells something different. Just follow your heart and buy the one you feel the best about,” McAuley explained with a smile. This article was written by Gloria Chung and translated by Vincent Leung. Click here to read the original version of this story. Chase away the blues with this magical colour-changing tea and its stress-relieving antioxidant properties. Hawthorn is your saviour whenever you have a substantial or greasy meal.